Members of a number of Russian political parties, including the communists and Yabloko, will gather in St. Petersburg at the weekend to protest against the bombing of a statue of Lenin, which was dismantled overnight. 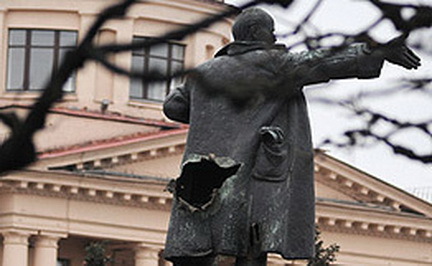 The monument to the communist leader, near St. Petersburg’s Finlyandsky railway station, was badly damaged following an explosion on Wednesday that caused a large crater and a hole in the statue. Authorities ordered the monument be dismantled to carry out restoration work, after fears the statue could collapse. The work is expected to cost up to 8 million rubles ($236,000). The demonstration on Saturday will be held near the empty plinth. The statue is due to be returned once the restoration work has been completed. The bronze monument to Lenin was unveiled on November 7, 1926 at the site, where the Russian communist leader made a prominent speech after returning from exile in 1917 just prior to the Russian Revolution. The statue was later moved closer to the Neva River. 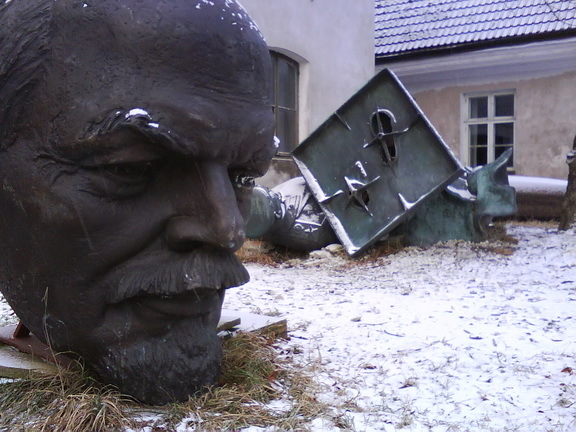 The 10-meter high bronze statue is one of the few remaining Soviet-era Lenin monuments to have survived the political changes in St. Petersburg. Residents of Russias second-largest city protected it from artillery fire during WWII. The Communists have also proposed protecting all Lenin monuments in the region, including the cruiser Aurora, a symbol of the Bolshevik Revolution moored in the city. About 20 elderly communists gathered on the square near the St. Petersburg administration building, Smolny, on Wednesday as part of a spontaneous rally. They carried Soviet flags and posters calling for an end to vandalism.